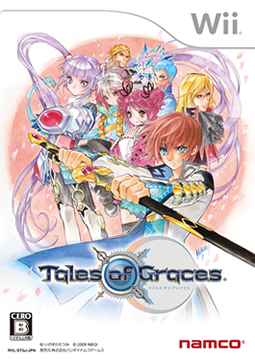 The Tales of Graces Official Site has been updated today with streaming of the two trailers that they showed to the public during Tokyo Game Show 2009. The trailers this time around are of much better quality, so they're definitely a must-watch. The first one (an off-screen cam recording from Ruliweb was uploaded here a few days ago) focuses on the game's story, mainly about Asbel's past, his determination to become stronger and about how his friends become a part of the party. The trailer raises a lot of questions about the game's mysteries, that's for sure. 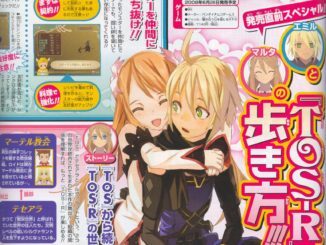 The game's opening theme, "Mamoritai ~White Wishes~" plays in parts of the video. 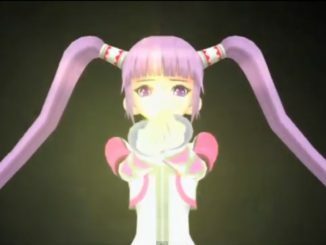 The video also gives us a glimpse of the anime cutscenes of the game. Click the thumbnail to watch it on YouTube. Once again, this is subbed, with translations courtesy of Yume. 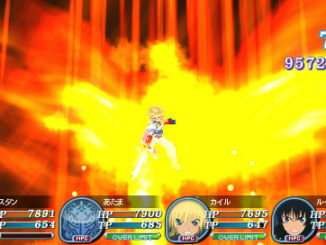 The second one (off-screen cam also uploadedhere before) focuses on the game's overall system. The video shows us how dungeons, fields and towns are now in proportion and are interconnected seamlessly. The next part focuses on the battle system, covering the new SS-LMBS, Around Step, Chain Capacity (CC) and Character Change. It also has individual demos of how the characters fight with their styles and glimpses of their Blast Calibers. The last part of the video covers the Kamenin Merchant DS mini-game. Again, click the thumbnail to watch it on YouTube. By the way, to those who missed it, I just uploaded the Tales of Vesperia PS3 survey wallpapers to the gallery. You can find the links in the post before this. If you'll notice, the gallery also has a new layout. I've alsoreplaced the official artwork we have of Cheria, Hubert, Pascal andMalik with higher resolution and better quality ones. Please do not upload these to other sites unless for sharing purposes like in forums and such. It took me quite some trouble to make them look like that. Seriously, DON'T UNLESS YOU ASK PERMISSION FIRST. Photoshop isn't as easy as it looks >_>. And believe me, I'll know you took it from us. Anywhere else doesn't have these without a watermark of some sort.